Election Day is a mere three weeks away! 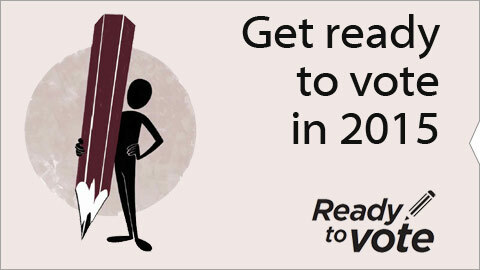 To help you prepare to get out and rock the vote, the Dalhousie Libraries have set up displays in each library with brochures, postcards and posters that have information on how this process works. Two of these centres will be located at Dalhousie University (one at LeMarchant Place and one at the SUB). They will be open from Oct. 5th-8th and will be locations where you can get in-depth information, register to vote, and vote in an advance poll. Dal Reads news: Lawrence Scanlan coming to Dal on October 14! Lawrence Scanlan, the author of the Dal Reads 2015 selection A Year of Living Generously, is coming to Dalhousie! When: Wednesday, October 14 at 7:00 p.m.
Lawrence has been a journalist for almost four decades – with daily newspapers (editor of The Nelson Daily News in B.C., literary editor of The Whig-Standard in Ontario), magazines (managing editor of Harrowsmith), and in radio with two national CBC programmes (producer on Morningside and Writers & Company). He has won numerous prizes for his writing, including three National Magazine Awards. A Year of Living Generously, follows Lawrence as he volunteers with 12 different charities, among them well-known institutions Habitat for Humanity, the St. Vincent de Paul Society and Canadian Crossroads. Drawing from first-hand experiences, he tests the ideas and theories on global aid and charity and makes a compelling case for greater commitment and real connection, in the form of on-the-ground volunteer work, from us all. 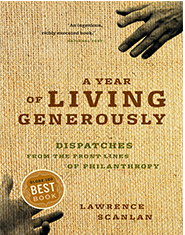 Don’t miss this opportunity to see Lawrence Scanlan in person as he reads from A Year of Living Generously. 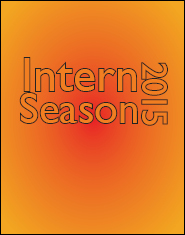 You can pick up your free copy at any of our five libraries! Alanna McLellan comes to the Dalhousie Libraries all the way from Vancouver, BC! “Prior to moving out to Nova Scotia, I had an internship at the SFU Museum of Archaeology and Ethnology and worked as a library assistant at a public library,” says Alanna. 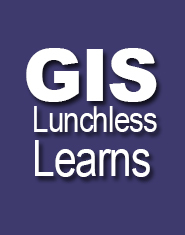 “From these experiences, I knew I was pursuing the right career path in the field of information. 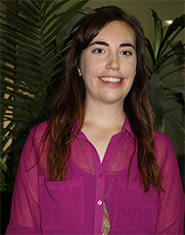 Alanna enrolled in the MLIS program because she has a passion for helping connect people with the information they need and want. This Summer Alanna helped organize the library after extensive renovations in late spring. She also provided research assistance at the reference desk and worked on several projects including: designing posters and handouts, a new virtual tour of the library, processing and cataloguing donations, and helped with the migration of the librarians’ subject guides on the LibGuides platform. 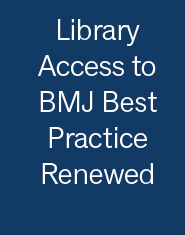 Following some helpful feedback from students and faculty, Dalhousie Libraries have renewed the subscription to BMJ Best Practice for the remainder of this year and will be renewing for the next subscription year as well. 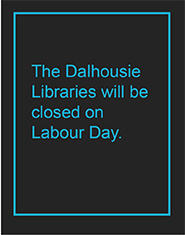 This fall, Dalhousie Libraries will be trialing an updated version of another evidence based resource, Dynamed Plus. Michelle comes to us from Edmonton, Alberta. 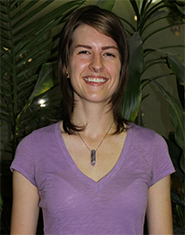 She has a Bachelor of Arts with a major in English from the University of Alberta. She chose Dalhousie mainly with location in mind—“I wanted to see what life was like on the east coast, to expand my theory of mind and learn more about the fullness of this country. Additionally, the focus of Dalhousie’s MLIS program on management alongside more classic skills appealed to me because of its wider situational applicability,” says Michelle. Over the summer, she has been working on several different projects, but they all share roots in collections management. Working with Kat Felix, the other Killam Intern, a bookmark has been created which explains the meaning of the Library of Congress call numbers and which floor of the Killam each letter is on. She’s also assisted in the move from Libguides V1 to V2. “I’m not exactly sure what I would like to do after graduation–I’m hoping this final year of studies will help me focus my passion–but I am finding myself gravitating towards digital collections, curation, preservation and all the technical skills that go along with those areas,” says Michelle. We are experiencing problems with the Cambridge journal online website at the moment. The provider is working on solutions to restore access, and have confirmed that it could take several days before all functionalities are made available again. 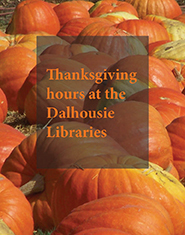 Every summer, the Dalhousie Libraries welcome students from Dal’s Master of Library and Information Studies program for internships. Working with these bright and enthusiastic individuals is one of our favourite things about summer at the Dalhousie Libraries! Over the next week, we’ll be featuring profiles of these fantastic folks here on our blog, highlighting the great work they’re doing to make the libraries better. Keep checking back regularly!